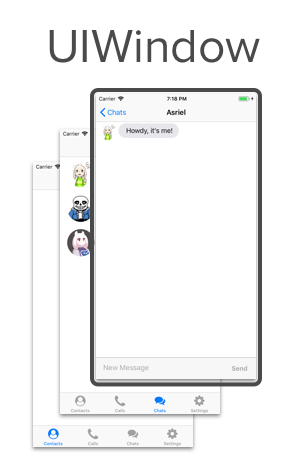 (Notice that after tapping the push notification, the app moves to the conversation with Sans). In the previous article on performing action when user tap on notification, we know that to perform an action when user tap on notification, we need to use the didReceive response: method from UNUserNotificationCenterDelegate. Now that we can process the notification tap, how do we access the view controllers from AppDelegate? AppDelegate has a window property that contains all the view controllers that is being displayed. It contains your application’s visible content. It plays a key role in the delivery of touch events to your views and other application objects. It works with your application’s view controllers to facilitate orientation changes. 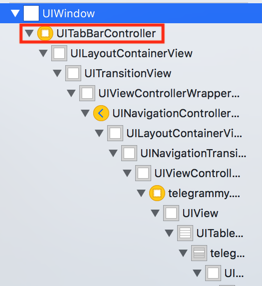 You can think of UIWindow as a container that contains your app views (and their owning view controllers), view controllers are usually stored in a stack (think of it like layers in Photoshop). 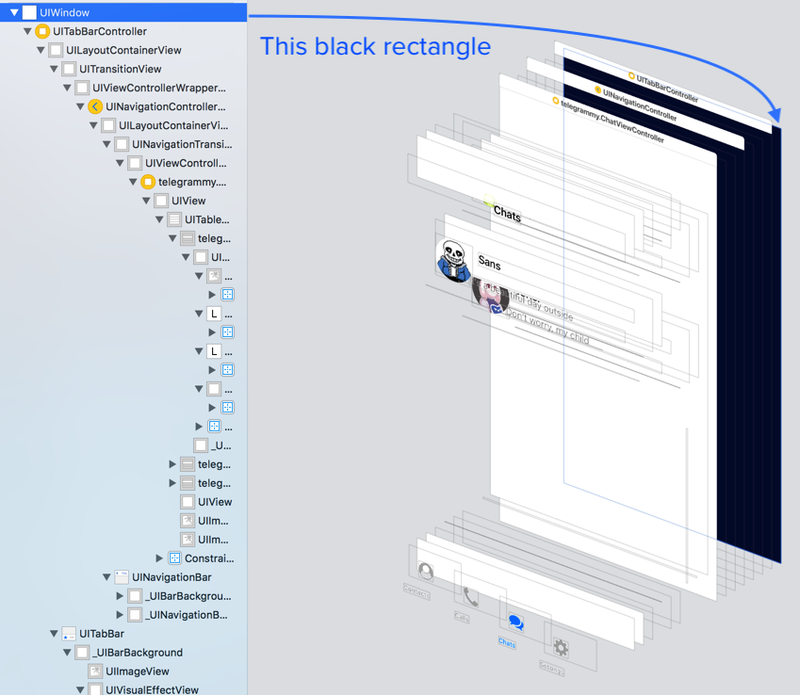 If we click on the debug hierachy button in Xcode while the app is running, we can see the 3D arrangement of the view controllers and views. Notice that UIWindow is on the furthest back in the hierachy, the tab bar controller is stacked on top of it, and then the navigation controller, and finally the specific view controller. We can access the window property (UIWindow object) in AppDelegate by using self.window? , self refers to the AppDelegate, and the window property is optional, it might be nil in case there is no window, but very unlikely. There's a rootViewController property for the window object, which access the most bottom view controllers in the stack. In the illustration above, the most bottom view controller is the UITabBarController, this is the rootViewController for the window. The root view controller is our entry point to access view controllers from AppDelegate. One naive approach would be changing the root view controller to the view controller we want when the user tap on the push notification. A better approach would be pushing the new view controller to the existing navigation controller. This section assume that your app uses a navigation controller to move around view controllers. All tabs in the tab bar controller contain a navigation controller. What if the current showing view controller of your app isn't contained inside a navigation controller? You can choose to present it modally (remember to check if there is any other view controller is being presented before presenting it), but you would have to traverse from the root view controller to the current showing view controller manually in AppDelegate, and then call .present() on the current view controller.